Concerned about a coyote in your yard or neighborhood and looking to get rid of him? Although rarely seen, coyotes are actually very common in cities and residential neighborhoods across the U.S., feasting on rodents, small mammals (such as squirrels and rabbits), and fruit. Naturally fearful of humans, coyotes normally go out of their way to avoid people. Sometimes, however, they learn that people are nothing to fear and may run through yards or cross streets in broad daylight or even approach people. Whether this behavior excites or alarms you, you need to respond in a way that sends a strong message to such animals that they should not be so bold. Using the following tips to get rid of coyotes, they will quickly learn to stay away from you and your yard! 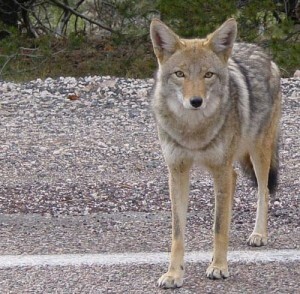 Unless they lose their fear of humans, coyotes are often present but rarely seen in urban areas. Do you feed your pets outside and leave their food and water bowls out when no one is around? Remove this attractant by feeding pets inside, or take up the bowls once they have had their fill. It eliminates a temptation for coyotes and keeps your pets safer. Is trash left in open or unsecured containers? Get a trashcan with a locking lid or secure your existing can with a bungee cord. Do you put food scraps in an open compost pile? Limit the kinds of food items you put out there (no meat or dairy products)—better still, obtain a closed container for the compost pile that enables you to easily keep turning the pile, but keeps wildlife out. 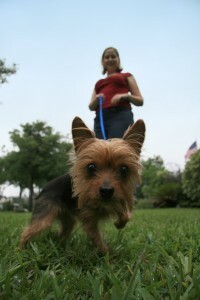 Are small pets kept outside in housing or a fenced area that leaves them potentially vulnerable? Keep them inside or build a secure shelter for them. Does spilled birdseed pile up under your birdfeeders as they pick through to find their favorite type of seed? Opt for the seed they prefer (most likely black oil sunflower seed), rather than a mix, and keep accidental spillage raked up before it attracts small rodents, which, in turn, attract the coyotes. Below are some deterrents you can use to scare off coyotes—but know that they can learn not to be concerned if only one method is used, so mix, combine, and vary your tactics to keep them wary. Be Big and Loud: Direct yourself towards the coyote, wave your arms over your head and yell “Go away, coyote!” The goal is to make yourself look as big, loud, and scary as possible. You can also stomp your feet, jump up and down, and spread a jacket out and above your head (if wearing one). 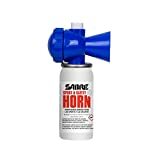 Sound deterrents: Yell! Use air horns, bells, and whistles. Shake cans full of coins, marbles, or small stones. Bang pots, pans, or pie tins together. 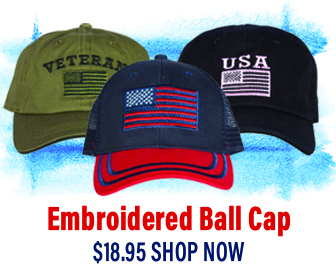 With any of these tactics, you can make quite a racket. If the coyote doesn’t run off immediately when you wave your arms and yell or make these other noises, approach while doing these things. If he runs, but stops and looks back, pursue again until he heads out. Projectile deterrents: Throw things in the direction of the coyote, but not directly at him—you are definitely not trying to actually strike him with anything. Examples are rubber balls, tennis balls, small rocks or sticks, or maybe some cans or plastic containers (but not glass, of course) from your recycle bin. A few more: If you happen to have a squirt gun or a plant spray bottle those may be useful—especially with a mixture of vinegar and water—or, try a garden hose. 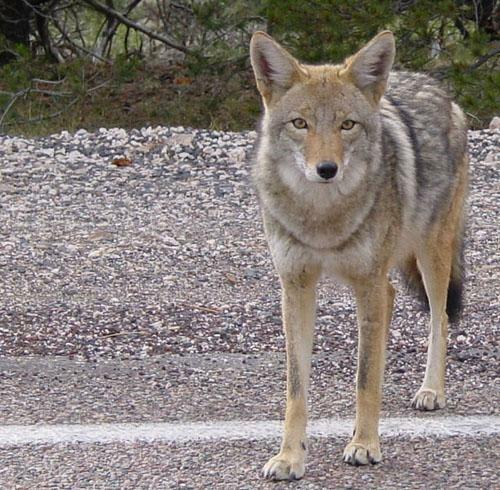 Use these tactics to scare off a coyote in your garden, yard, or play space. If the coyote returns after any of these efforts, continue with the deterrents, varying them and increasing the intensity, until he leaves and stays away, which he almost certainly will after the second or third encounter. Your dog is safest when she is on a leash, and under your control at all times. If coyotes are becoming common in your neighborhood, you may be concerned about them approaching your dog when you are walking her. First, always make sure that your dog is on a leash (6 feet long or less) and either pick up your dog or place him or her behind you if you see a coyote. Then, bring along a small air horn or loud whistle, and a squirt gun, or have some small sticks or stones handy to throw—again, not at the coyote, just in his direction, if he comes too close. You can also yell, wave your arms, stomp your feet, and approach the coyote (never run from one), making it clear that it is he who should be fearful of you. It’s important to understand that coyotes can jump fences less than six feet tall, and can jump up and over a fence less than 8 feet tall unless it’s fitted with a deterrent on top to keep the coyote from climbing over. One great option for securing the top of a fence (at least six feet tall) is called a “coyote roller,” which rolls off a coyote trying to get over the fence. Fences should also be either installed with the base buried in the ground, or anchored to the ground with landscape stakes to keep coyotes from digging under. Pets (especially small pets) should never be left outside unattended in yards with fences that are not “coyote-proof” (as described above). Cats are particularly vulnerable to coyote predation, and are best protected by either keeping them inside or building a secure enclosure for them outside. With a combination of reducing attractants, protecting your pets, and employing the various deterrents described here, you can quickly teach coyotes to keep out of your yard and neighborhood. Are there motion activated alarms that produce high frequency sounds that deter Coyotes from entering yard. I had seen a website that advertised such a device but neglected to write site address down.